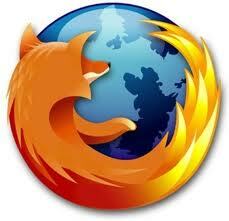 The Web is all about innovation, and Firefox 8.0 Beta 5 sets the pace with dozens of new features to deliver a faster, more secure and customizable Web browsing experience for all. K-Lite Codec Pack 7.90 is a collection of DirectShow filters, VFW/ACM codecs, and tools. Codecs and DirectShow filters are needed for encoding and decoding audio and video formats. The K-Lite Codec Pack is designed as a user-friendly solution for playing all your audio and movie files. Blender 2.60a is an integrated application that enables the creation of a broad range of 2D and 3D content. Blender provides a broad spectrum of modeling, texturing, lighting, animation and video post-processing functionality in one package. Through it's open architecture, Blender provides cross-platform interoperability, extensibility, an incredibly small footprint, and a tightly integrated workflow. 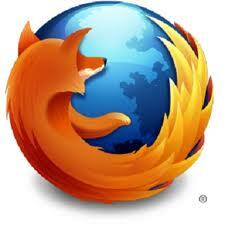 Blender is one of the most popular Open Source 3D graphics application in the world. Notepad++ 5.9.5 is a free source code editor and Notepad replacement that supports several languages. Running in the MS Windows environment, its use is governed by GPL Licence. Along with the totally new features, there are a series of improvements that are not immediately visible. There are small improvements like Tooltips in the main window, a substantial increase in the number of problems that can be found byTuneUp Registry Cleaner, and better progress feedback from TuneUp Drive Defrag. But there are also big improvements "under the hood". Two good examples are a completely reworked installation program and significant improvements in our update technology. MetroTwit 0.9.0 Beta is a slick Twitter client for Windows. Nero Kwik Media 11.0.15300 is a media management software for photos, videos and music. It lets you conveniently play back your music files, plus manage and create playlists. You can import new music from a CD or sync your music library with your mp3 player (Nero Kwik Move it). Nero Kwik Media lets you easily create cinema-style videos and photo slide shows with integrated movie themes, plus conveniently manage your multimedia projects. Improve the quality of your photos with just a few clicks, cut off some unwanted parts, or automatically remove red-eyes. Use the Faces feature to sort your photo library by the people in your pictures; it automatically detects and even recognizes faces in your photos (Nero Kwik Faces). You can play back your photos and all your videos right on your PC with all the convenience of a built-in DVD player (Nero Kwik Play). In addition, you can burn a music CD or burn your compilations on DVD as a gift for friends and family (Nero Kwik DVD) – or share your photos through upload to your favorite online community. 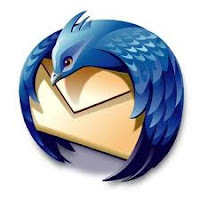 Thunderbird 8.0 Beta 2 is a great email client from the same people who brought you the Firefox browser. Thunderbird 8.0 Beta 2 gives you IMAP/POP support, a built-in RSS reader, support for HTML mail, powerful quick search, saved search folders, advanced message filtering, message grouping, labels, return receipts, smart address book LDAP address completion, import tools, and the ability to manage multiple e-mail and newsgroup accounts. 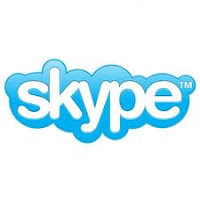 Skype 5.5.0.124 is software for calling other people on their computers or phones. Download Skype and start calling for free all over the world. The Web is all about innovation, and Firefox 8.0 Beta 3 sets the pace with dozens of new features to deliver a faster, more secure and customizable Web browsing experience for all. mIRC 7.22 is a full featured Internet Relay Chat client for Windows that can be used to communicate, share, play or work with others on IRC networks around the world, either in multi-user group conferences or in one-to-one private discussions. The Bat! Home Edition 5.0.24 mail client has a lot of vital benefits and useful features that make your email experience simple and convenient. All these features perfectly fit any Windows OS. 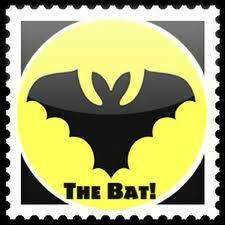 Moreover, The Bat! is the first and only email client Certified for Windows Vista by Microsoft Corporation. “Certified for Vista” logo guarantees the highest level of compatibility between Vista and The Bat! Home Edition 5.0.24 mechanisms. Protection of privacy The Bat! Home Edition 5.0.24 characteristic feature is the most widespread support of authentication protocols and of encryption while working with mail servers. Advanced System Optimizer from Systweak is one of the best system utilities on the marketplace today. As far as PC utilities go, it is hard to find one that’s as loaded with as many effective features as Advanced System Optimizer. While some system utilities might have more features, Advanced System Optimizer goes for quality over quantity. That leads to Advanced System Optimizer also being one of the easiest PC utilities to use because you do not have to sort through the unnecessary features to get what you need. As with other system utilities, this program has the typical tools, such as the ability to clean and repair the registry, hard drive and other disks, optimize the list of startup programs and much more. One interesting feature we found with Advanced System Optimizer that we didn’t see with any of the other PC utilities was the Game Optimizer feature. Since a lot of computer users are gamers, this feature will come in handy to many people. uTorrent 3.0 Build 25756 is a small and incredibly popular BitTorrent client. 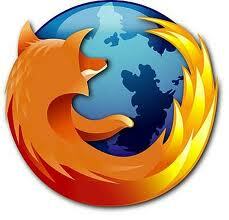 The Web is all about innovation, and Firefox 8.0 Beta 2 sets the pace with dozens of new features to deliver a faster, more secure and customizable Web browsing experience for all.